There's a new challenge blog in town - CAS(E) this Sketch! Some of my favourite stampers are on the Design Team, and each week there is a CAS sketch, for you to CASE. In honour of its first challenge, I've made two cards. But one may not qualify, so I'll just link this first one. I have no idea who made these stamps, but I thought it would be a fun anniversary card (to remind him that I had many other choices, lol!) or even a graduation or congratulations card for my son or one of his friends. Here's the second card. My sentiment is not in the right place for the challenge, but I think it's a fun card. These are also old clear stamps (except for the wrongly placed sentiment, which is Papertrey) and I'm not sure who made them. 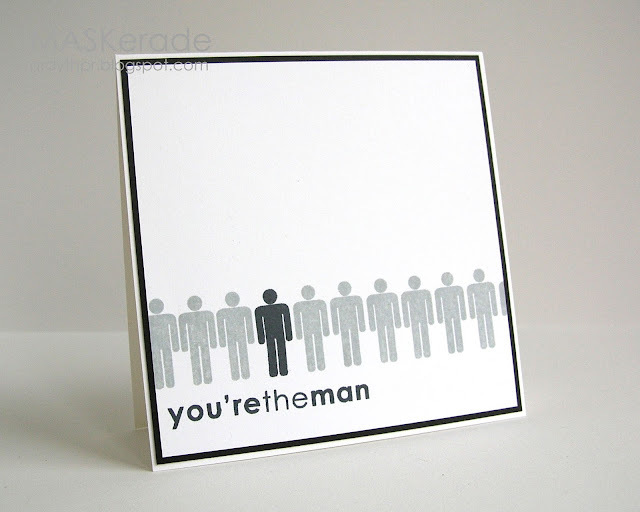 Love them both, Ardyth, but that "you the man" card rocks!! Two AWESOME cards. Love them both! Both of your cards are wonderful Ardyth! 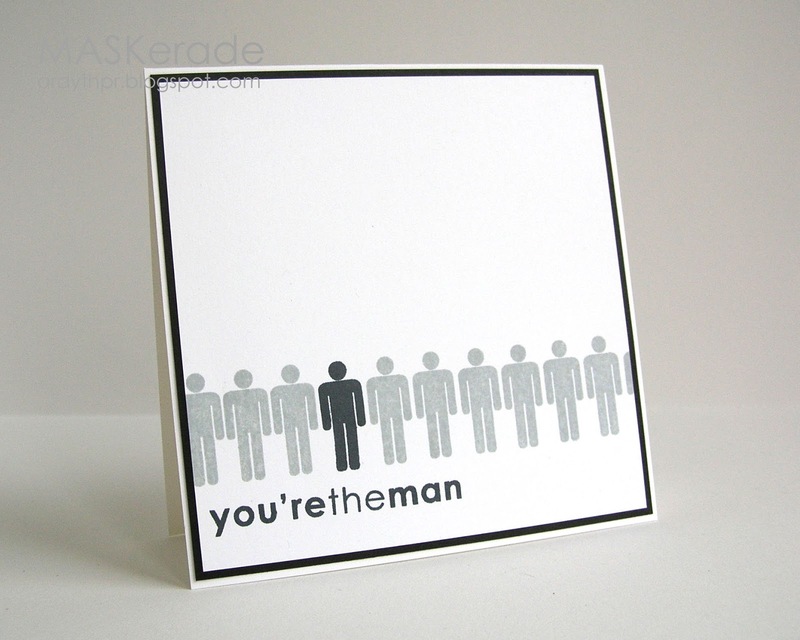 Love the masculine card. They are both fabulous. I love how well the sentiment works with the images on the first one...a perfect masculine card...and the second card is so sweet! Will he get it?? I like how you've got the fine font under the bold image, and vice versa. And I love how the yellow mat on the second card highlights the sparkly sun. I'm really good at just missing challenge deadlines! Glad you posted these; they're great, and I really like how you coloured the clouds and sun. Absolutely love the first card. Clean, simple, graphic - just perfect. 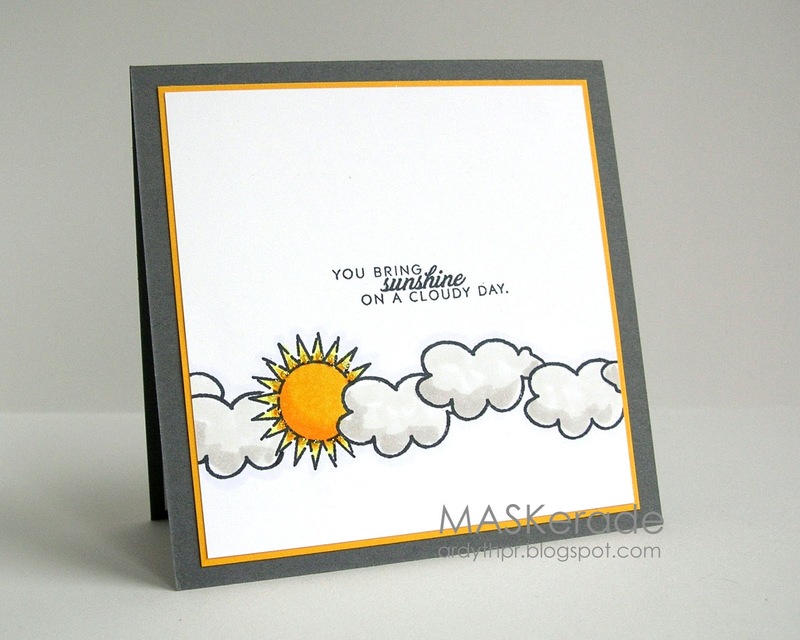 And I love the splash of yellow on the sunshine card! P.S. Thanks for your sweet comments, A!! I want to play in this challenge. Love both cards Ardyth. oh wow-eee!! How are you so smart to have the bold man in between the two bold words?!? Such a PERFECT visual triangle!! You always amaze me. The cloud/sun take on the challenge is great too. Love how you interpreted the sketch and didn't use all the same shape across the card.